Use the link below to access the Hockey Canada Online Registration system to register a player. BANTAM & MIDGET: Only returning NEZ Bantam and Midget players or NEW players that have not registered before with any Hockey Canada organization may use this link to register online. Players that have previously registered elsewhere must first contact the NEZ registrar, Lisa Tellefson (hockeystuff1310@gmail.com), to enact a transfer/release from their previous association. Click (here) for more information on Bantam & Midget registration. 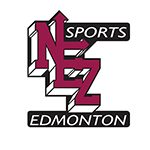 DISCOVERY, JR. TIMBITS AND SR. TIMBITS: (previously Initiation Hockey) for 4, 5 & 6 year olds will register directly with NEZ Hockey via the Hockey Canada OnLine Registration system. 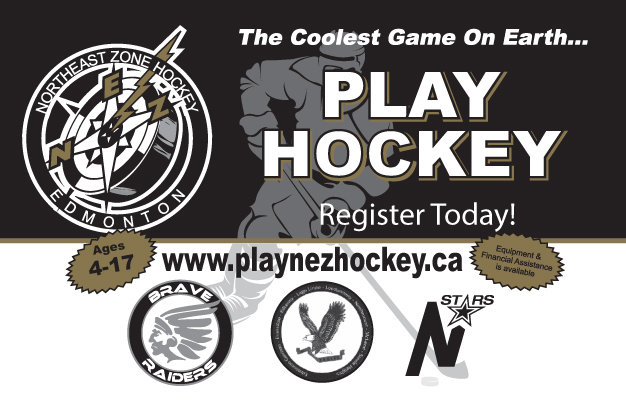 Novice, Atom and Peewee players who have previously registered in the NEZ program with the Braves, Eagles or Northstars must register with them. Click (here) for links to their websites. If registering a player for the first time families must take the Hockey Canada Respect In Sport program BEFORE players will be given tryout/evaluation ice times. Respect-In-Sport will need to be taken again if your certificate is older than 5 years. When taking the program please ensure that you specify EACH player that you will be registering and make sure the spelling of their name EXACTLY matches the name they are currently registered by. Failure to do so will prevent that player from showing as having a parent take the course. If registering a player for the first time when you have taken the course for another player you can go to the Respect In Sport website and add that player to your existing Respect In Sport record. More details and links to take the course are available (here). For Bantam and Midget registrations a parent must attend an in-person registration date to sign-up for bingo(s) or pay the $200 Bingo Waiver fee when registering online. Requirement for Bantam and Midget parents to attend the in-person registration would not be required if Registration fees and Bingo Waiver fee are both paid for online. Once registered you will be contacted via email with more information and next steps. Please allow for a couple of weeks for an email response.